Click on the Download button and choose the Installable WordPress file option and save this ZIP file to your desktop. Go back to Appearance > Themes and click Activate on the Freedom theme. Note: If you are prompted to install Widget Area Manager please follow the prompts. If for some reason this plugin does not install automatically please download it from here and install it like a normal plugin: click here. The Widget Area Manager is required for this theme to operate correctly. It will allow you to control the position of sidebars and what content to display in them. Please only do this on a fresh new empty WordPress website – installing default content on an active existing website could cause problems, and the end result probably wont look like the demo. Install and activate the theme as mentioned above. Done, your new WordPress website should now look identical to the live demo. This theme comes with a unique and easy to use Sidebar Manager. Easily control if sidebars appear on the left or right of your pages, or hide them all together. Simply navigate to the page you wish to change (e.g. the home page) and change the option from the top admin bar. The design is created in a way that works on desktop, mobile and tablet screen sizes. This is an amazing feature as more and more users are going mobile. Below are some screenshots showing the design on different screen sizes. You can try it yourself by simply shrinking your browser window, or visiting this demo website from your mobile device. This theme comes with a unique Diagonal Slider included. Note: if you insert the default content (see above) all this will be done for your automatically. Select the “home” page you created as the front page. Select the “blog” page you created as the blog page. Paste the above shortcode ( [contact-form-7 id="169" title="Contact form 1"] ) onto this page. Create a Google Map on this page by copying and pasting the below shortcode onto the page. The “Our Studio” bit is what appears in the box in the middle of the map. The address is the actual address where the point on the map will go. The height sets the height in pixels of the map. The enlarge_button option shows an “enlarge map” button under the map, change this from 1 to 0 if you do not want the button to appear. Click the down arrow on the right of the “Contact” sidebar. Drag a “Text” widget from the middle over to the “Contact” sidebar. In the “Title” put “Contact Details”. Adjust the text as necessary. Drag the “Opening Hours” widget from the middle over to the “Contact” sidebar. Fill in the details as required. Drag the “Social Icons” widget from the middle over to the “Contact” sidebar. Fill in the details (full http:// links to your social pages) as required. Drag / drop to re-arrange items on the menu. You can have max of two levels drop down in this theme. On the left under “Theme Locations” please choose your “Main Menu” under the “Primary Menu” drop down and click “Save”. (you can repeat this process for the Footer Menu if you like). If you are unable to add certain things to the menu (eg: categories, product categories) please click the Screen Options at the top and make sure these are ticked. Type the [[ gallery ]] shortcode onto your page. 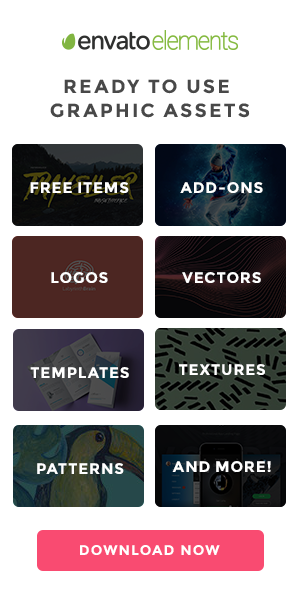 This theme has a custom options page allowing you to upload your own PNG logo to appear at the top, or you can use a text logo (the default is a text logo with a drop shadow). To install this plugin please look for the ‘plugins/woocommerce-facebook.zip‘ file located in the theme download zip file. Contact us if you cannot locate this file. Once you have this plugin file you can install it to WordPress by going to Plugins > Add New > Upload and follow the prompts. After activating the plugin you will find a new menu under WooCommerce > Facebook – this has detailed instructions on setup. If you have difficulties following the instructions located under WooCommerce > Facebook please contact us and we can assist. style.css This css controls all the styles on the website. style.comments.css This css file controls the blog comments layout. style.content.css This css file controls the main inner content and widget layout. style.custom.css This css file is automatically generated each time the “Customize” wordpress area is modified. Do not manually edit this file. style.editor.css This css file is for the backend WordPress editor. style.responsive.css This css file contains the code to make the website responsive on mobile and tablet devices. style.visual_composer.css This css file is for local modifications to the Visual Composer plugin. style.wpcf7.css This css file is for the contact form generated by ContactForm7. /plugins/ Contains the default plugins that should be installed along with this theme in order to make it work correctly. header.php Used to display the header on your blog (logo area and menu). footer.php Used to display the footer on your blog. class-tgm-plugin-activation.php This class helps with the installation of the theme, it checks you have jigoshop and plugins installed correctly. dtbaker.fonts.php Allows you to select which Google fonts to use on your website. dtbaker.shortcodes.php Controls which shortcodes (from /shortcodes/ folder) are available to you in the theme. dtbaker.theme_options* These files control the options you see on the left hand side in WP admin under the Appearance menu. dtbaker.widgets.php This file loads the available widgets (from /widgets/ folder) that can be used on your site. The file also contains the default settings for the sidebar options. functions.php The main theme functions, a standard wordpress file. functions.woocommerce.php This contains some modifications to the WooCommerce system, if you choose to use WooCOmmerce this will help it look nicer. All photos were taken by myself and are royalty free. They can be used in your single end product website if desired.